My first time at Orcan - and wearing a kimono! About the event itself, it started all normal. 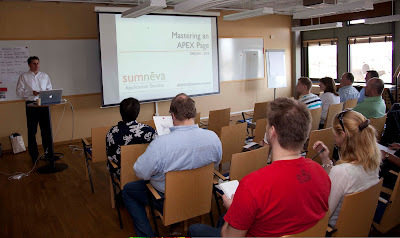 My first presentation was "Mastering an APEX Page", which you might have seen me doing before. 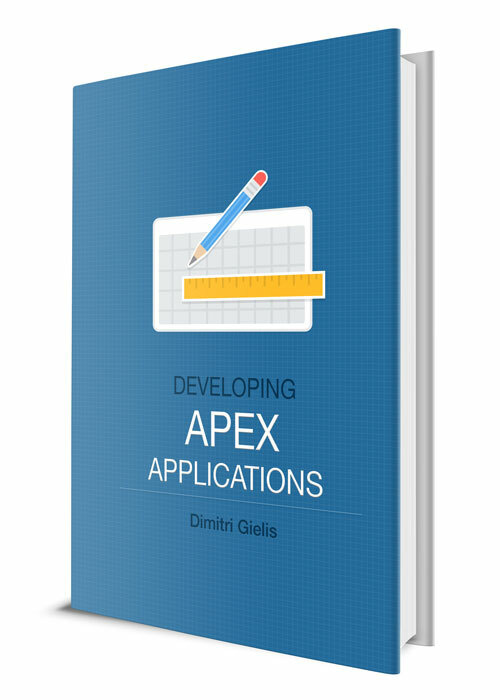 I basically explained how an APEX page works and how/where to change things so you get exactly what you want. But this event was in a SPA hotel... a very relaxing environment with hot tubs, steam baths etc. 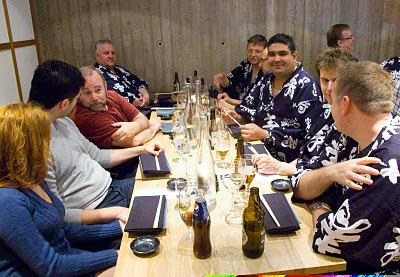 and everybody was wearing a kimono! My second presentation I did in such a thing! It was very strange in the beginning to be wearing a kimono, but soon it became very nice and comfortable. I talked about my experiences going from APEX 3.x to 4.0 and demoed a lot of the new features in 4.0. The event was also a great time to meet other people I didn't meet before but follow on internet. On the picture you might recognize Francisco Munoz Alvarez, Daniel Morgan, Husnu Sensoy, Grant Ronald and Jose Senegacnik. We all had a great time with some nice food. If you've never been to Sweden or one of the events of Orcan, it's definitely worth it. Thanks to Patrik Norlander and his team to make this an unbelievable experience. The World Cup 2010 is over... Spain is victory, the Netherlands lost in extra time, but can be proud on the tournament they played. And I was surprised how well Germany played. Over 400 people had fun on DG Tournament by betting on the games and chatting with others. Congratulations to the top 5! The people interesting in some stats; there's a stats page in the app itself and below I put a screenshot of the page loads during the time of the World Cup. Over 120,000 page loads... not bad at all. See you again in the next tournament... hopefully Belgium qualifies next time! 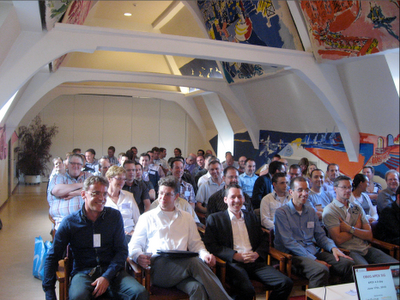 On Thursday June 17 the first OBUG (Oracle BeNeLux) APEX SIG 4.0 day took place in congress centre 't Elzenveld in Antwerp. Over 90 visitors, great sessions and a beautiful day, made it a very successful event. After I welcomed the people and talked a bit about the purpose of the OBUG APEX SIG, we kicked off with the first presentation (keynote) of the day. 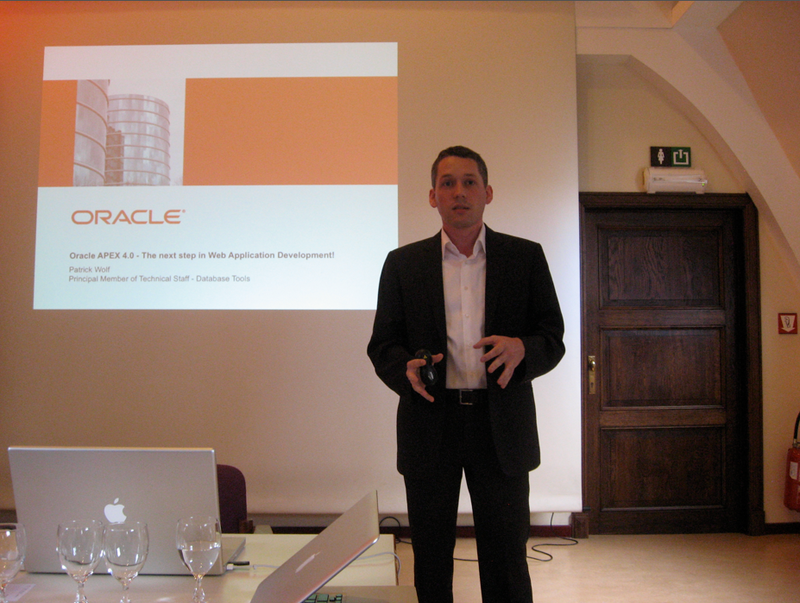 Patrick Wolf talked about Oracle APEX 4.0 - The next step in Web Application Development. He gave an overview of the new features in APEX 4.0 and talked about how things change for a developer. Next Patrick Hellemans of InterAccess came on stage to talk about the Maturity level of APEX. 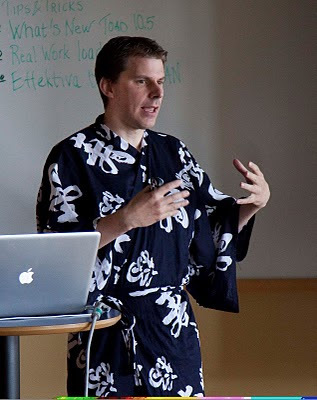 He talked about developing in Agile, how to handle projects and by having a framework be able to go even faster. 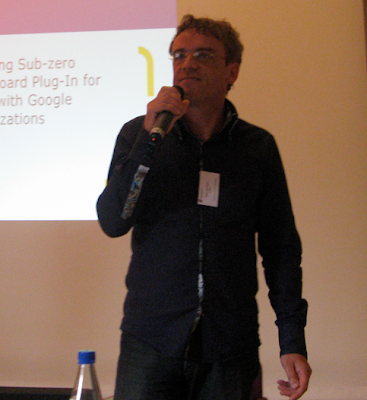 After lunch Roel Hartman presented "Creating sub-zero Dashboard plugin for APEX with Google Visualizations". He showed how you can create a more advanced APEX Plugin (based on Google Visualizations). His demos were very cool! Roel already blogged about the event too. Then it was my turn. I talked and demoed Websheets and Team Development. 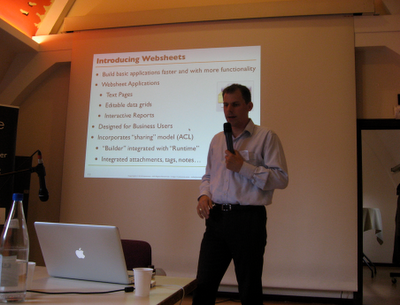 Where APEX was the Access killer a few years ago, Websheets will be the Excel killer. Websheets changed a bit over time (compared to beta versions I saw); it's now much more a collaboration tool, next to the availability for end-users to work with and share data. I think the wiki functionalities are really good already, for the data part I would like to see some more features in APEX 4.1. If there's one feature I would like to have in there, it's a pivot functionality. 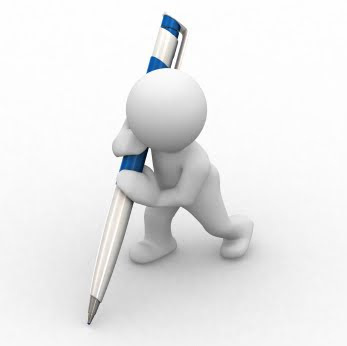 Team Development is a first step into the direction to control your entire projects from within APEX itself. There's still place for improvements (e.g. link with other bug tracking systems), but I strongly believe it will already help many people managing their project in a more structured way. 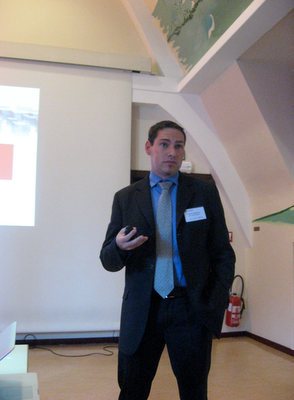 Olivier Dupont and Jan Huyzentruyt from iAdvise showed other new features in APEX 4.0. They talked about the improvements in Globalization, Interactive Reports, Excel integration etc. 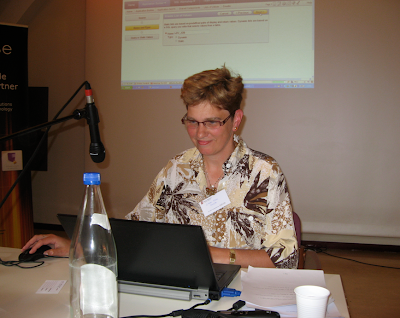 The last presentation of the day was for Iloon Ellen-Wolff. She talked about the enhancements of Tabular Forms in APEX 4.0. As you can see, the day was packed with sessions :-) This first OBUG APEX SIG day was very technical. 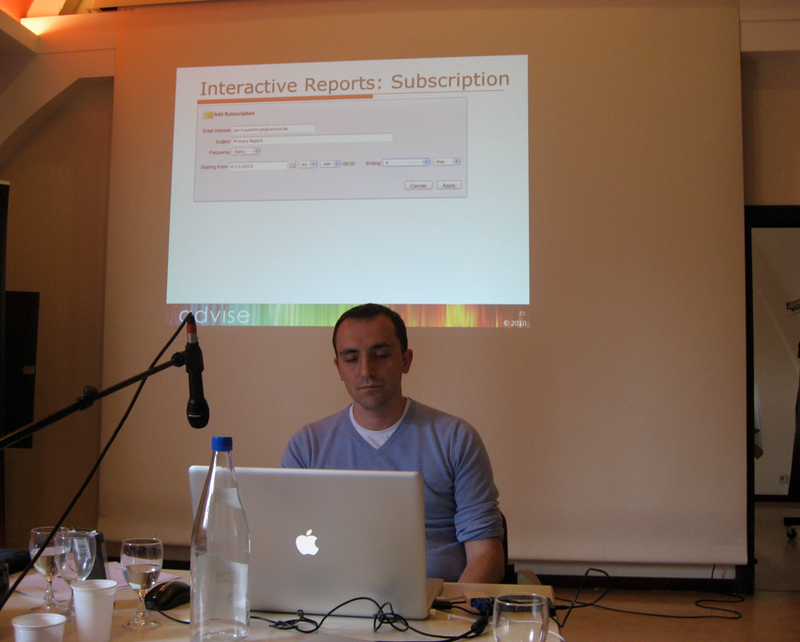 In the future we plan to have less technical presentations as well, especially for business people. I would like to thank everybody who came along for the great atmosphere. Special thanks to Roel Hartman and the OBUG Secretary to help organizing the event. All the above presentations you can download on the OBUG website.